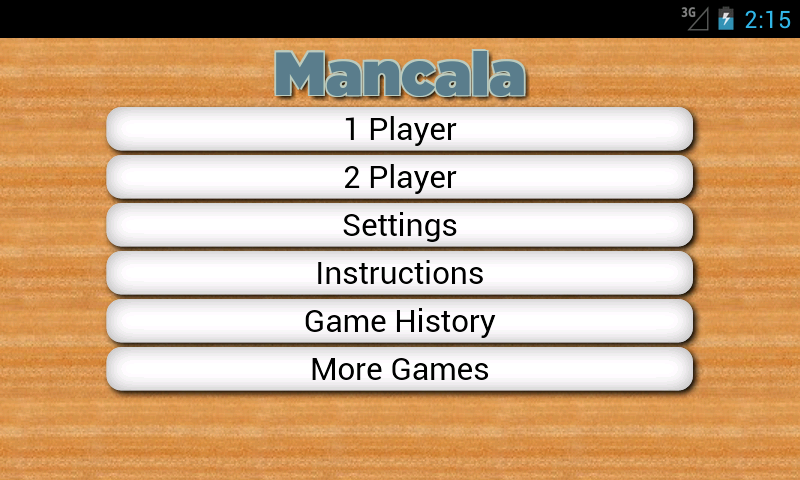 Get back to basics and play the classic game of Mancala on your Android device! Mancala is from ancient times. It is one of the oldest known board games. 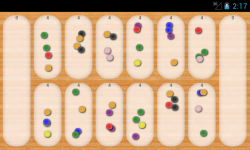 There are many variants, but this game uses the most popular, Kalah. 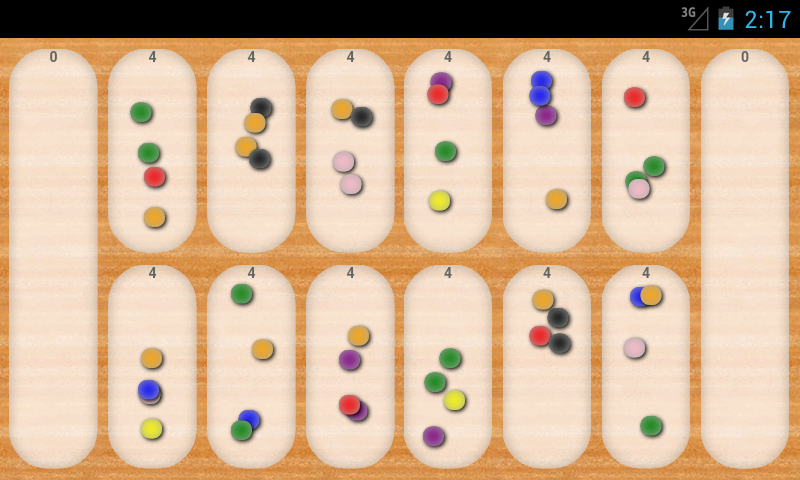 You are allowed to make multiple moves if your last piece ends up in your mancala pit. Game uses the official rules found at: http://bit.ly/31dGa NOTE: If you experience slowness or choppiness, try disabling animations in the settings. Features - 1-player or 2-player. Play the computer or a friend! - Instructions - Learn how to play, or check out the rules if you need a refresher. - Online high scores - Compare yourself to other players. 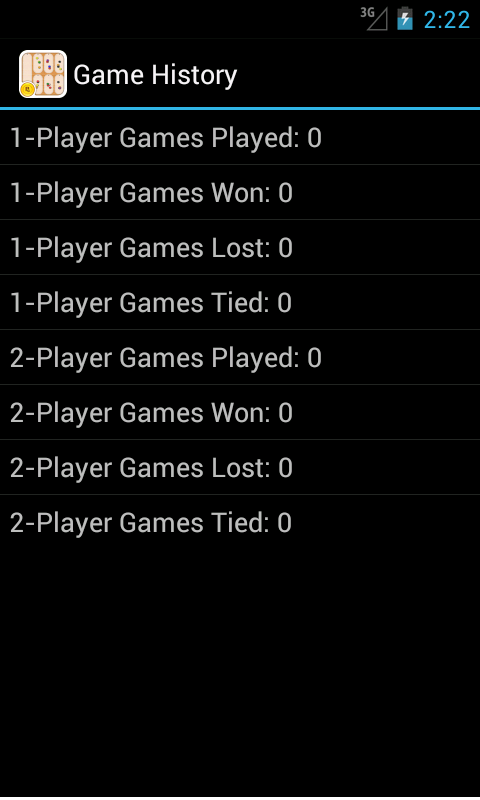 - Local game history stats - Try to beat your best scores! 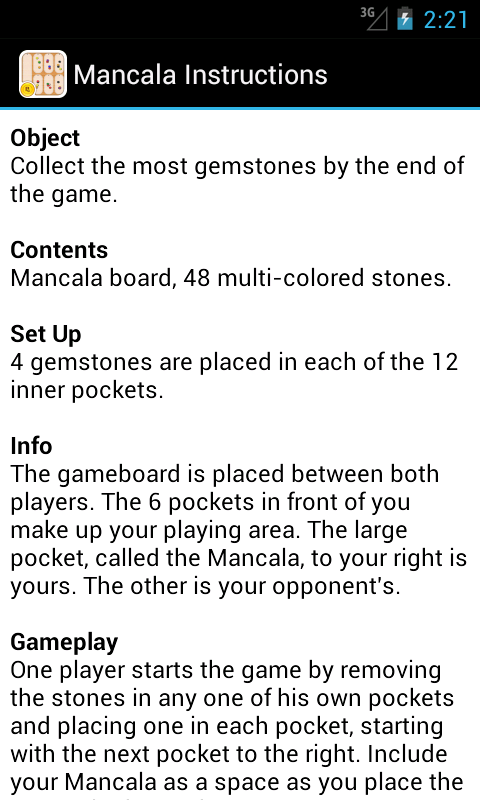 - Choose number of stones - Mix it up by altering gameplay. 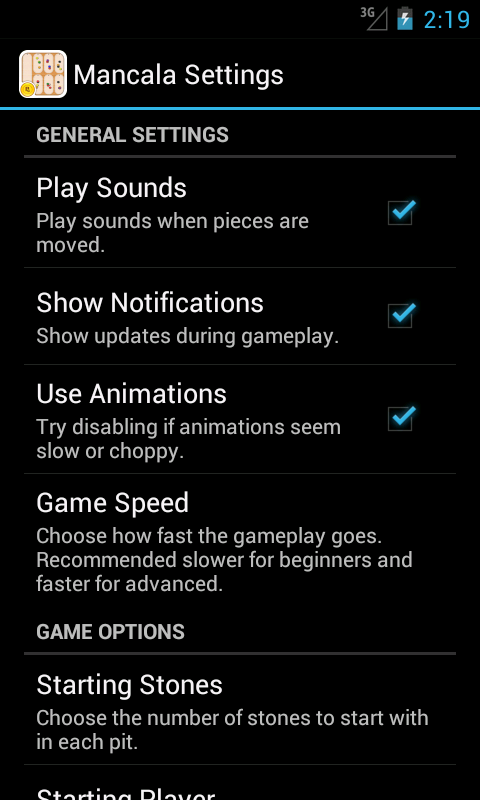 - Multiple animation speeds - Slow it down to visualize it better or speed it up to play faster. - Multiple difficulty levels - For beginners to novices.